Micro Forté was founded in 1985 by university friends John De Margheriti, Steve Wang, Stephen Lewis, and John Reidy. The studio’s first title, “Official America’s Cup Sailing Simulation”, was developed for Australian entrepreneurs Armchair Entertainment and picked up by Electronic Arts and released in 1986 for the Commodore 64 on a budget of roughly A$20,000. It sold in excess of 60,000 units in Australia. The studio’s second title, “Demon Stalkers” (1987), was produced for EA. The game was based on the popular arcade title “Gauntlet”. The success of “Demon Stalkers” led EA to commission a sequel, “Fire King” (1988), but in 1988 issues at EA led to them dropping a number of games in development including “Fire King”, which was subsequently published by SSG. In 1989, with no real business plan in place and smarting from never being on the winning end of their development deals, Micro Forté halted its game development in order to allow its founders to attain more business experience. 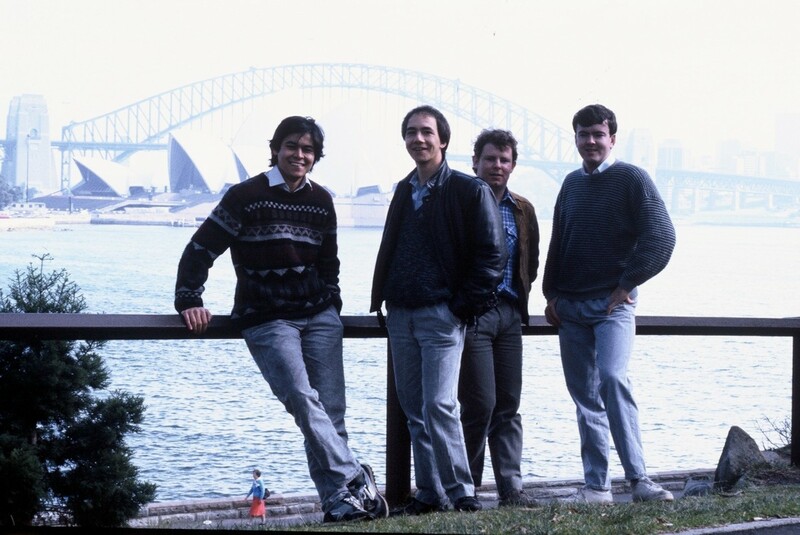 In 1994, the company of De Margheriti, Steve Wang, Stephen Lewis regrouped with Simon Hayes (who had originally joined Micro Forté in 1986) and without John Reidy (who left Micro Forté in 1988). They worked on childrens’ titles before coming up with a new idea for a communication system to be used in massively multiplayer online role-playing games. De Margheriti and Lewis developed a patent and subsequently won a research and development grant from the Australian government. The project — codenamed “Large Scale Multiplayer Persistent Universe” — eventually became BigWorld Technology, a new strategy that aimed to help developers create better MMO games on multiple platforms with more players. The development of the Big World Technology would have its own company — BigWorld Pty Ltd — that focused on the development, sales and marketing of the middleware. Over the years, the studio won a number of business and game industry awards for their contribution to innovation within the Australian game development scene, including the 2002 Asia Pacific ICT Award (APICTA) (Creative Digital Industries category) and the 2003 Telstra and Australian Government Small Business Award (Panasonic Australia Business Award category). Notable Micro Forté games include “Official America’s Cup Challenge” (1986), “Demon Stalkers”(1987), and “FireKing”(1988). References: Micro Forté Company History http://www.microforte.com/company/history.php; Parker, Laura, “Oz Industry Insights: Industry Retrospective” Gamespot March 17, 2011; Interview John De Margheriti 11 June 2013. Official America's Cup Sailing Simulation (1986), Demon Stalkers(1987), FireKing(1988).